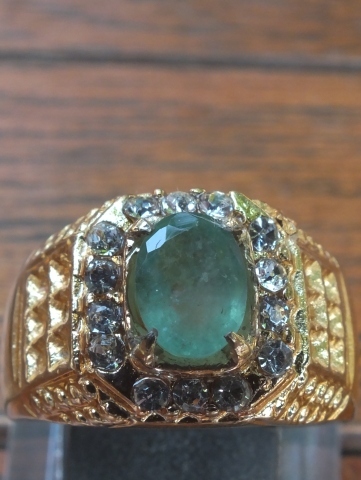 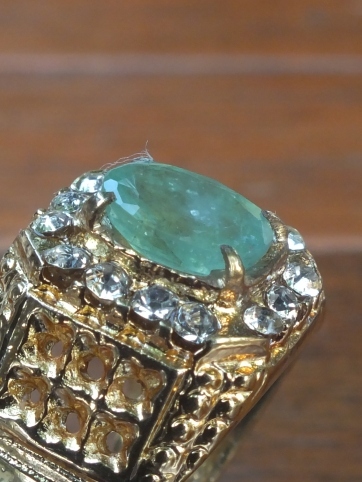 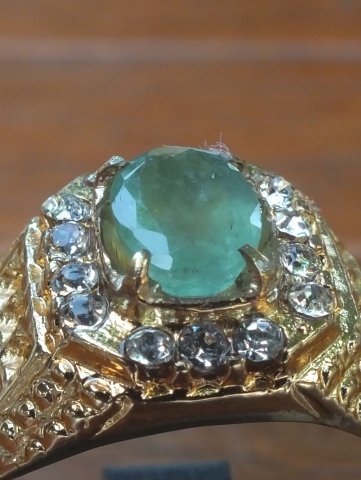 This is a very beautiful African Emerald. 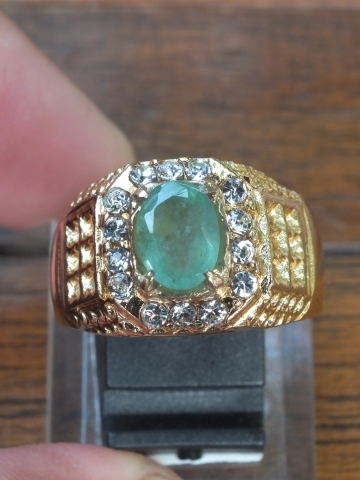 This beryl family is already set on a 20mm golden chromed brass ring. 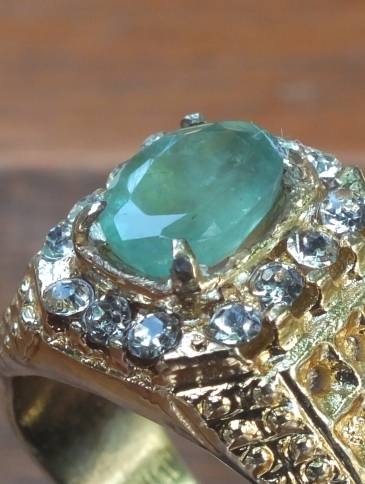 The dimensions of the gems is (est) 8mm x 6mm x 3mm. A very nice small emerald for your collections! Natural African Emerald!